‘I did an MRI and it shows a small staring on my left thigh,’ Nadal told reporters in Brisbane. ‘I tried to play, I wanted to play, but recommendations from the doctors (were otherwise). ‘It’s a small thing that can become a much bigger… when you compete the intensity on the muscle it can get worse,’ he adds. 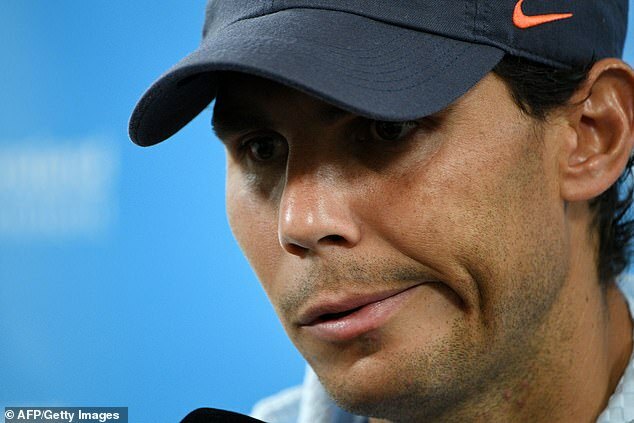 With the Brisbane International acting as a warm-up event, Nadal did not want to risk further damage by playing through the pain. The world No 2 was told by doctors there was a risk to further his thigh injury and given he wants to dethrone Roger Federer at the Australian Open, the withdrawal now is essential to allow time to recover. 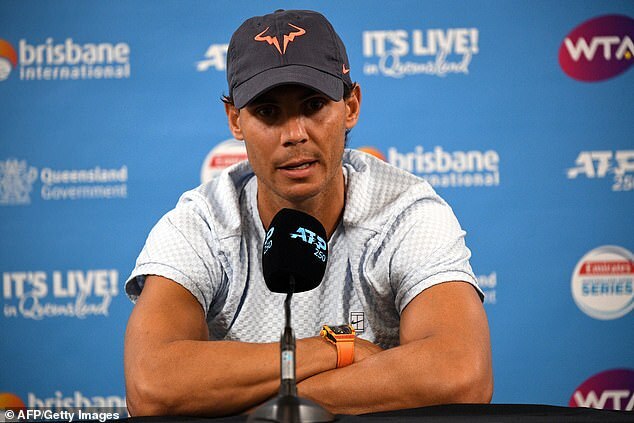 Tournament Director, Cameron Pearson, expressed his disappointment at the news, saying: ‘We know how disappointed Rafael Nadal is that he has had to withdraw from the Brisbane International and is unable to play in front of the Brisbane fans this year. Nadal was limited to nine tournaments last year due to a string of injuries which included ankle surgery in November. Lucky loser Taro Daniel will replace Nadal in the second round against Frenchman Jo-Wilfried Tsonga.